David’s video and comments really hit the mark. We often talk about the consumer purchase journey in terms of the process that a consumer is wrapped in as they experience a brand and make a purchase in the context of that experience. It used to be quite linear, but now has many strong feedback loops, such that a consumer can experience multiple “stages” at one time and can influence others’ journey’s more strongly and at multiple points. With the growth of SoLoMo, we can now act on another dimension of the journey with much greater effectiveness. This dimension is defined by geographic distance and frequency. It’s like a whole new take on a gravity model. We can define concentric zones going out away from the product location and for each band of circle for a given level of frequency we can tailor specific interactions and implement appropriate strategies to help the consumer see the value of getting closer to the product. For new customers, in brick and mortar retail, the key is to first have folks physically introduce the behavior or experience of going to a location; then it is in creating familiarity and routine within that location. For existing customers, it’s critical to deepen the value of frequent physical proximity – socially, emotionally and rationally. SoLoMo data truly is and will become gold to many organizations that not only know how to mine this new mountain, but also in how they mold the mountain in the first place through strategic planning to create the most valuable data streams for analysis. This is a prime example of how Big Data is not a reactive situation and how getting the most from Big Data analytics depends on more than just knowledge discovery analytics. If we bring frameworks of directed analytics to this kind of data, like applying a form of geography/frequency gravity model, in the context of specifically designed communications strategies we can truly uncover revolutionary gains in customer loyalty. The industry now has a buzzword, “big data,” for how we’re going to do something with the huge amount of information piling up. “Big data” is replacing “business intelligence,” which subsumed “reporting,” which put a nicer gloss on “spreadsheets,” which beat out the old-fashioned “printouts.” Managers who long ago studied printouts are now hiring mathematicians who claim to be big data specialists to help them solve the same old problem: What’s selling and why? via 7 top tools for taming big data | Business Intelligence – InfoWorld. As the first post in on this blog, welcome! For a few weeks it will be a work in progress as I get set up and connect all the pieces together between LinkedIn and Twitter and maybe other services. The basic idea behind this blog is to be a forum and resource for applying analytics in a way that creates or builds leadership. 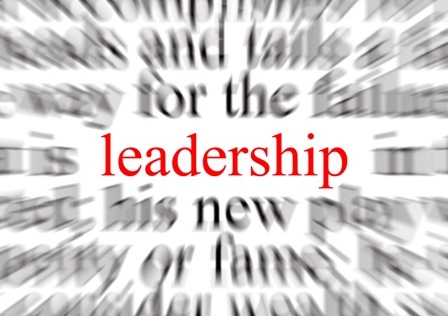 Leadership can manifest in many ways on personal, organization and market levels. The intelligent use of analytics can propel a company to market share, loyalty, positioning and profitability leadership. By understanding how to effectively harness and build analytics capabilities and applications within an organization, you can increase your effectiveness, visibility and opportunity. The views I express on this blog are my own, but based on the great ideas and influences of others, of course.